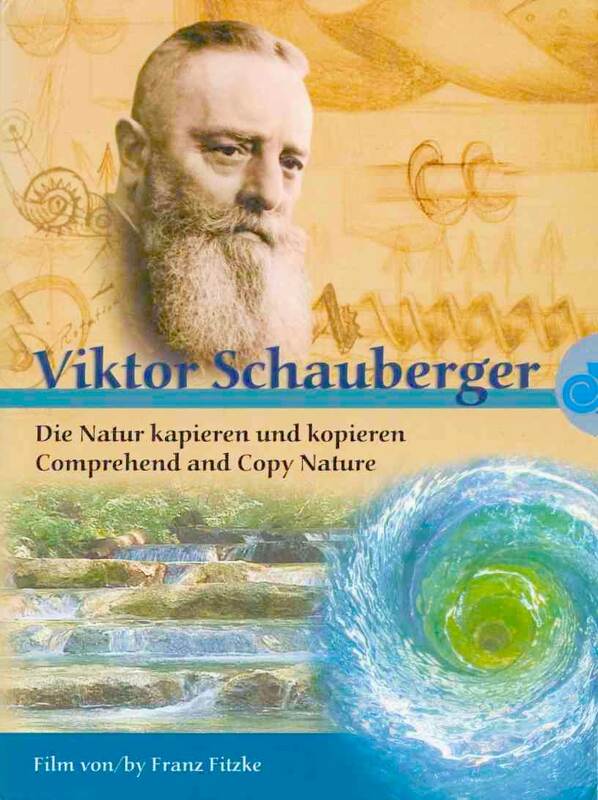 This report tries to evolve a new perspective on the ideas of the Austrian naturalist Viktor Schauberger, with the aid of concepts from modern research into chaotic and self-organizing systems. The focus of the report is on modelling. With the aid of concepts like self-organization, free and forced vortex flow, chaotic pulsation, mathematical bifurcations and minimal surfaces, and with flow images like “handkerchief dynamics” and “toroidal vortex flow”, we try to sketch a natural sciences perspective that comes close to Schauberger’s. We replicate the Stuttgart experiments with vortex generation and particle separation, and give an overview of existing research in the area. The report also covers applications such as oxygenation of water, e.g. in fish ponds, bathing facilities, and sewage plants, and particle separation, e.g. in laundry plants, the food industry, and paper-mill industry. Some perspectives are also given on restoration of natural waterways and minor lakes or bays. softcover booklet – 20pp. 40 illus. 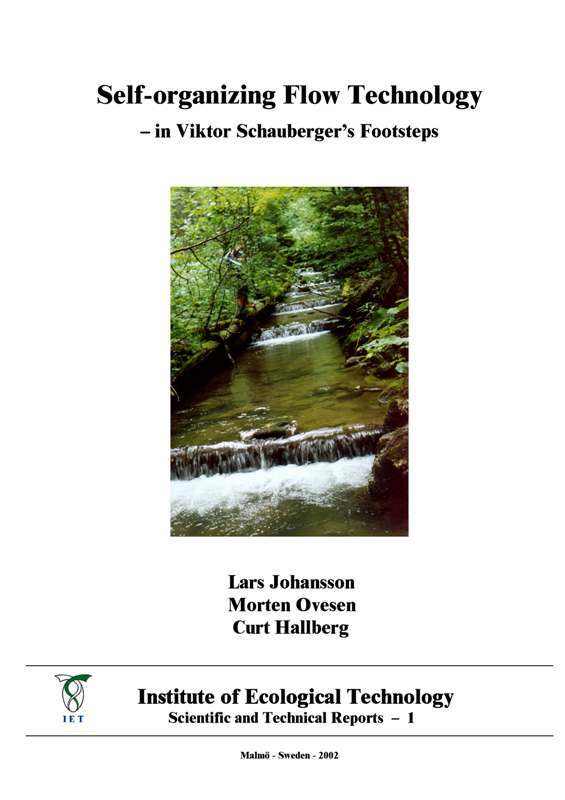 This revised edition presents useful summaries of Viktor’s insights and radical discoveries which make it easier to understand what Schauberger’s total vision embraces. The headings include: Vision, Water, Energy, Forest, Trees, Sacred Geometry, Resonance etc.., which represent a complete shift in our world view. Compiled from notes made during the writing of Hidden Nature, and published separately to assist understanding of the wider implications of his research. 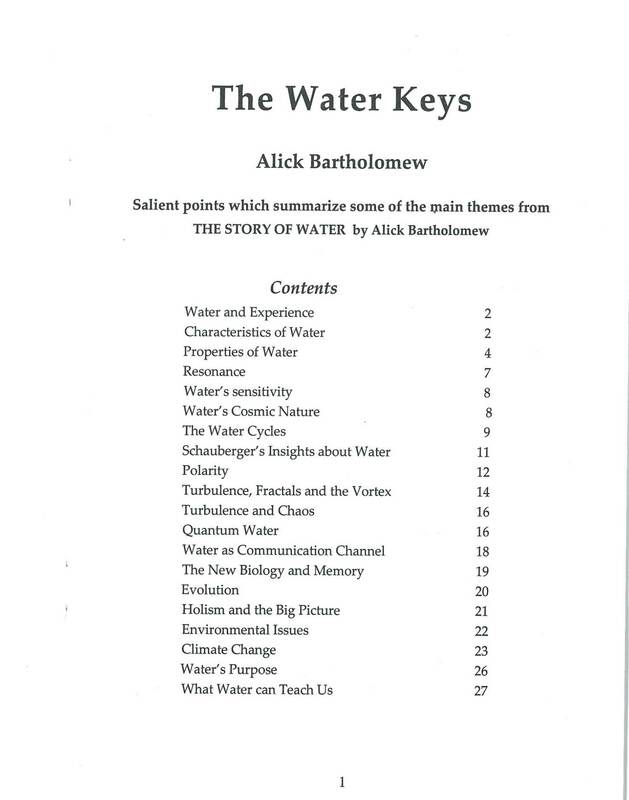 Alick Bartholomew – 30pp. 5 illus. Some salient points from themes in the book, intended as an aide-memoire or a landscape view. 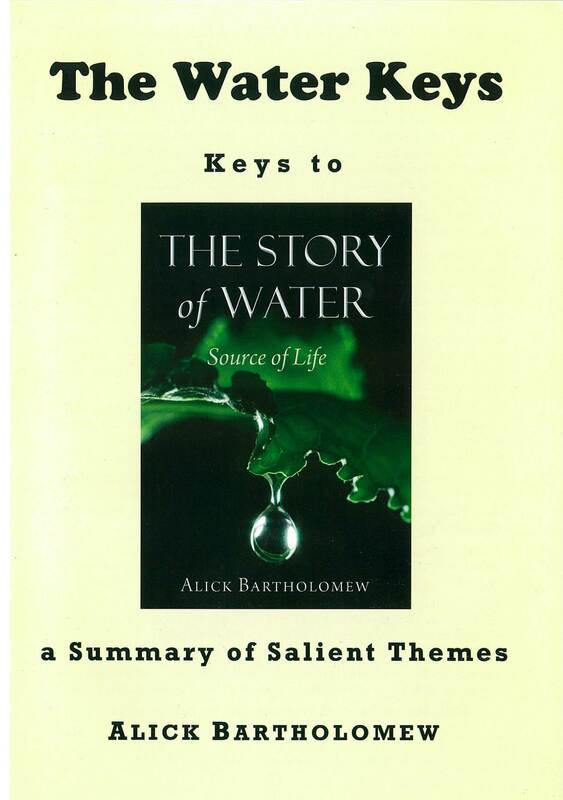 Headings: Water & experience; Properties & characteristics of water; Resonance & sensitivity; Water’s cosmic nature; Schauberger’s insights; The water cycles; Polarity; turbulence, chaos, fractals & the vortex; Quantum water; Water & communication; New biology & memory; Evolution; Holism & water’s purpose; Environmental issues & climate change; What water can teach us. 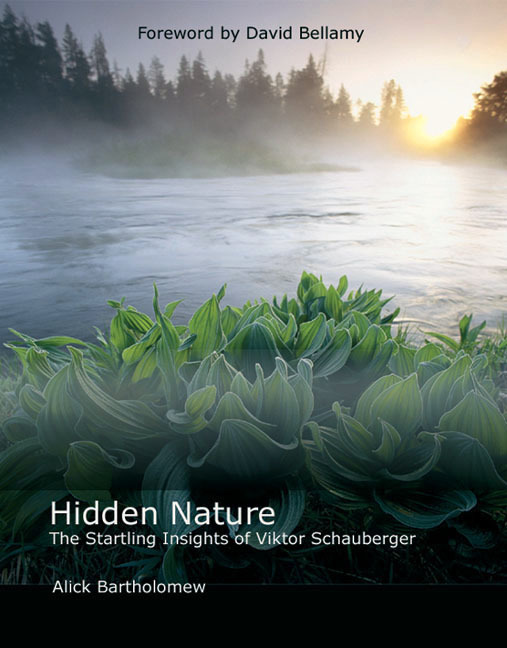 The first movie about the work and legacy of Viktor Schauberger. A comprehensive study of historical facts, current research, and various practical applications for both technology and the natural world. 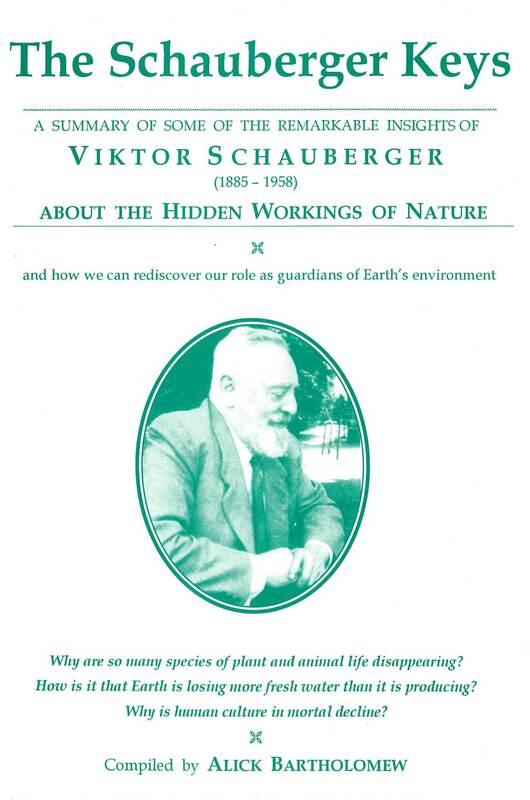 The Austrian forester Viktor Schauberger (1885 – 1958) is today considered to be one of the pioneers of modern water research and holistic nature observation. Already during the first half of the 20th century, he warned insistently against the consequences of unrestricted exploitation of the environment. As an alternative, he propagated a radical rethinking of our attitudes towards nature, and the development of completely new methods of energy production that are in harmony with nature. He formulated his so-called “C & C” Principle: to Comprehend and Copy Nature! The applications of his ideas and his inventions include devices for qualitative water refinement (the creation of “living water”), spiral water pipes that reduce friction, river regulation in accordance with natural water flow, and the generation of energy from air and water using nature’s own principles of motion based on suction and inward spiral movement — the “Implosion” Principle. 75 minutes. Both German and English versions on one DVD, Region-Free*. Imported item. Do you make or sell oloid mixing machines?